These new vacation properties include townhomes, single family pool homes and vacation condos. Storey Lake Resort is poised to be an extremely popular resort community based on both the location of the resort and the experience of the developer/builder. 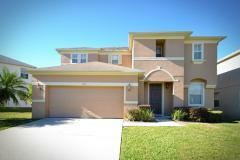 Storey Lake is ideally located in the Lake Buena Vista and Kissimmee area at the corner of State Road (SR535) – also known as Kissimmee-Vineland Road – and Osceola Parkway putting you just moments from the Walt Disney World Resort. The first 6 vacation homes at Storey Lake are now available in pre-sales. Contact us today! Dining, shopping, golf and all of Orlando's world class attractions are at your doorstep. 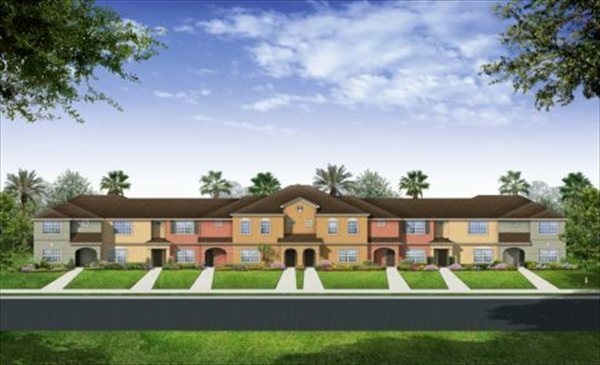 Storey Lake Resort will feature 4 and 5 bedroom townhomes (available now) and 5 and 6 bedroom vacation homes (to be released shortly) and 350, 2 bedroom condominiums, the first vacation condominiums to be built in Orlando in over a decade. These new vacation townhomes at Storey Lake are now open for presale with choice of 3 floor plans available. The 3 models have already proved to be a huge success at the Paradise Palms Resort which was also constructed by Lennar. These short term rental townhomes can be reserved for just $5,000, whilst in the presale stage, until the Purchase Agreements can be prepared. The entrance to Storey Lake is expected to make a bold statement of prestige, which will welcome owners into this 24-hour gated community. Sparkling fountains and lush landscaping will surround the community clubhouse The gated-access Resort Club and Beach Garden will be located directly on the lakefront.. Inside you will discover a state of the art fitness center with the latest in cardio and strength building equipment, a games room, a 50 seat movie theatre, meeting rooms, an internet cafe and a sauna to help you relax. Outside you can enjoy a gradual entry pool, water slide, covered grotto, a kiddie pool, spas, Volleyball, basketball and tennis courts and a stunning deck where you can top up on your tan whilst grabbing lunch. Buyers can reserve one of these initial release home against a refundable $5,000 deposit We strongly recommend interested buyers to reserve one of these new vacation homes at Storey Lake whilst considering whether this community is right for them. Lennar are offering exceptionally low introductory prices at Storey Lake for a short time in order to kick-start sales. Substantial price increases are expected over the next few months, so getting in early will get you the best deal.